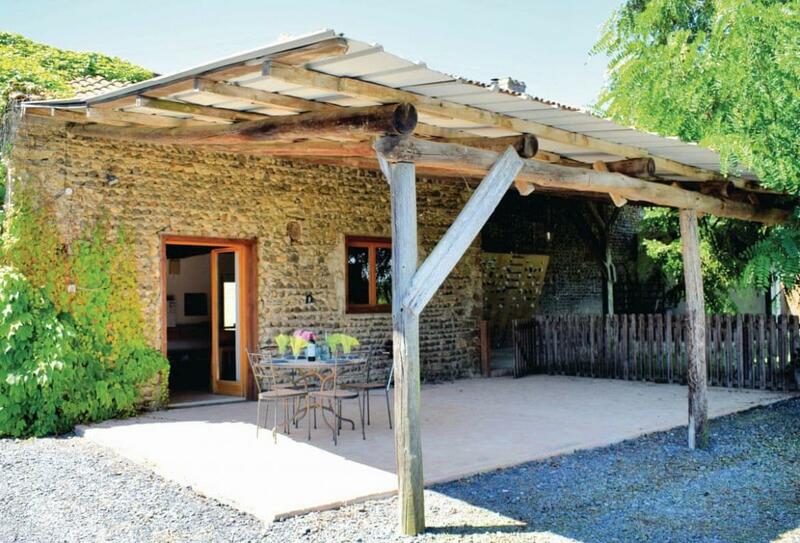 Inviting 1 bedroom holiday home near Aignan, Midi-Pyrenees. A wonderful holiday home for the whole family Sleeps 4. Ground floor: Lounge/kitchen/diner, bathroom with bath, shower, toilet and basin. First floor: 1 kingsize bedroom, double sofa bed in lounge. Electric underfloor heating, DVD player, CD player, wi-fi, washing machine, dishwasher, microwave, courtyard terrace, outdoor furniture, barbecue, outdoor swimming pool (private, 8m x 4m, depth 1.2-1.5m, open Jun-Sep weather permitting), off road parking for 2 cars. Sorry, no pets. No smoking please. No children under 10 years except babes in arms. NB: Narrow spiral stairs to first floor. Sloping ceilings on first floor.